Colorado Firefighter Calendar, Inc. is a Denver-based non-profit, 501(c)(3) organization that creates and produces Colorado’s official firefighter calendar. Firefighters from around the state contribute many hours to help raise funds, educate and increase awareness for the Regional Pediatric Burn Center at Children’s Hospital Colorado and others around Colorado. These men and women represent one of the noblest professions and the calendar serves as a tribute to all firefighters and the people they help every day. Net proceeds received from the sale of calendars and special events will directly benefit the Regional Pediatric Burn Center at Children’s Hospital Colorado and burn centers across the state. The centers are committed to providing the highest standard of burn care to neonates, infants, children and adolescents up to 21 years of age in the Rocky Mountain region. Job Summary:The Executive Director is responsible for effectively managing and leading the organization toward realizing its mission. This position reports to the Board of Directors, and works closely with sponsors, retail partners, donors and firefighters. Workflow includes: fundraising, sales management, sponsor and retailer cultivation, event management and coordination, internal and external communications and administrative duties as needed. Identify areas of additional revenue through programs such as, Colorado Gives Day, Cars Helping Charities, Amazon Smile, etc. Track results of all signing events and work with Treasurer to reconcile financials for each event. Activities related to the day to day management of the organization; including deposits, correspondence, calendar mailings, updating documents and responding to inquiries from the public. Bachelor’s degree in marketing, nonprofit management, business management or related field, or equivalent experience. Keen attention to detail, accuracy, and deadlines. This is a part-time, exempt position averaging 30 hours per week. Hours are flexible and will include night and weekend events and meetings. Email resume and cover letter to coffcalendar@gmail.com, please include Subject: Executive Director Search. 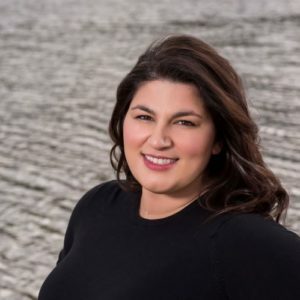 Parisa brings a professional background of over 9 years in non-profit and trade association leadership; possessing experience in membership recruitment, volunteer management, fund-raising and event planning. Parisa received her Master’s Degree from the Josef Korbel School at the University of Denver. She has called Colorado home for over a decade and is passionate about supporting the heroes and heroines that keep our community safe. Courage, health, and advocacy are values that Parisa celebrates in the legacy of the Colorado Firefighter Calendar. She lives in Golden and also works as a licensed real estate broker in the foothills. Crystal’s passion for The Children’s Hospital has spanned over 23 years. She has been an active volunteer for the Foundation since 1989. After a close family member had to be admitted to the hospital as a baby, Crystal was moved by outstanding care that was received and decided that day to get involved. She joined the calendar in 2005, which has led her to her current role. 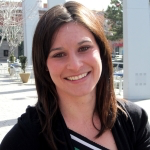 Crystal was born and raised in Colorado and understands the changing needs of the Front Ranges’ diverse population. In Crystal’s career life, she is an Annuity Wholesaler at Jackson and has been in the financial industry for over 15 years. Her passion for reaching goals is what motivates her and helps her to stay focused towards Colorado Firefighter Calendar’s vision. Andrea has been working with the Colorado Firefighter Calendar, Inc. since its organization in 2011. She is a corporate transactional attorney with Burns, Figa & Will, P.C. In her free time, she is volunteering with calendar events, skiing, or being active. Andrea enjoys volunteering with the calendar and raising money for Children’s Hospital Burn Center and Burn Camp programs. 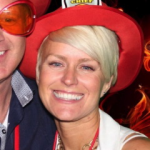 Kristy has been volunteering with the Colorado Firefighter Calendar as Treasurer since 2012. 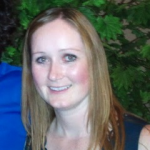 Professionally, Kristy works in Corporate Finance at a Colorado-based internet service provider. Outside of volunteering and working, Kristy enjoys athletic pursuits and makes health and fitness a priority in her life. Kristin’s dedication and passion to volunteer in her community led her to the opportunity to be a part of the Colorado Firefighter Calendar board. As the Communications Assistant at a Denver based Oil & Gas Company, Kristin works in many different areas, from Communications to Government Affairs. She is also responsible for leading corporate events from planning to execution. She has an extensive background in advertising, public relations, event management, graphic design and marketing. 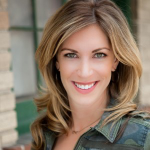 Kristin grew up in Colorado and graduated from the University of Northern Colorado with a Journalism degree focused in Advertising and Public Relations. She spent some time living on the east coast in Boston and New York before making her way back home to Colorado. She enjoys traveling, golfing, baking, attending concerts and spending time with her family and friends. Vicki is a long-time supporter of CFC and the mission to support The Children’s Hospital Burn Center and many other local non-profit organizations within the community. 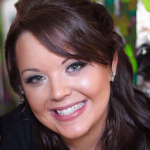 Professionally, Vicki is an experienced marketing, communications and event planner for Starwood Retail Partners. Vicki comes to CFC with 10+ years of experience and expertise in data analytics, strategic planning, integrated and omni-channel marketing, digital and social advertising and corporate event management. 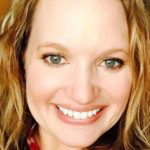 Vicki grew up in Gunnison, Colorado and graduated from the University of Northern Colorado with a Bachelor of Fine Arts degree focused in Graphic Design with a double major Art History. She also received a second degree in Web Design/Development and Multimedia from the Art Institute of Pittsburgh. In her spare time, she enjoys volunteering at local animal shelters and rescues, giving back to those who don’t have a voice. Like many Coloradoans, she loves Cross Fit, hiking, biking, camping and anything that gets her out in nature. 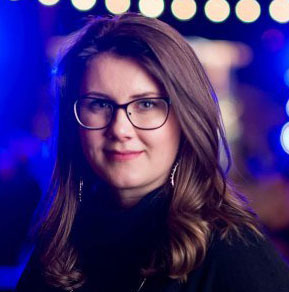 A journalist turned marketer, Dayna has extensive experience in communications strategy, public relations, content development and digital media. After over a decade in the corporate world, she founded Davis Social Studio, a digital communications agency. She’s worked on both the agency and client sides for companies including Red Robin, Panera Bread, Rudi’s Organic Bakery, Tiffany & Co. and Healthgrades.com. 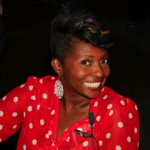 She’s directed editorial and content strategy for news organizations and brands, launching numerous blogs, content hubs and social communities. 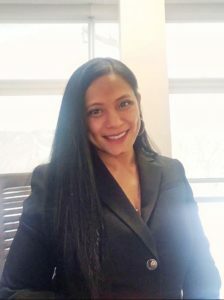 She’s currently an adjunct professor at CU Boulder’s College of Media, Communication and Information, teaching social media strategy and digital marketing. Dayna’s served on the boards for the Mile High Social Media Club and the Denver American Marketing Association and volunteers for various literacy programs in the community. She’s a proud Colorado native with a BA in English from Colorado College and a Master’s of Journalism from the University of California at Berkeley. She lives in Denver with her two labradoodles and never misses a Broncos game. Tara has been a longtime supporter of the both CFC and the mission to support The Children’s Hospital Burn Center & Burn Camp and is honored to contribute her expertise to CFC’s Signature Events. 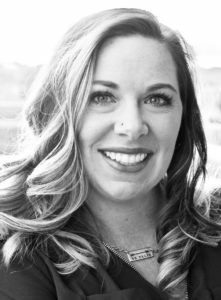 Professionally, Tara is the Senior Manager of Event Services for The Denver Center for Performing Arts and with over ten years of event experience, she brings extensive knowledge of large scale event production, event marketing, social media and management. Tara is a graduate of the Colorado Business Committee for the Arts (CBCA) Leadership Arts Program and applied as a Board Member with intent of utilizing the skills garnered during this unique 9-month program that is built to inspire professionals to be effective nonprofit board members and arts advocates. Working with Denver’s arts and non-profit organizations has been a great passion of hers, helping to foster a strong, supportive community that is vibrant and engaging. Loren is a Firefighter Paramedic with North Metro Fire Rescue. He started his journey with the calendar in 2013 as Mr. September and has since been involved in developing the early childhood fire safety education program. His focus is to expand the fire safety education program and inform families of the importance of fire safety in the home. Loren also finds time for golf, hiking, travel and new adventures. 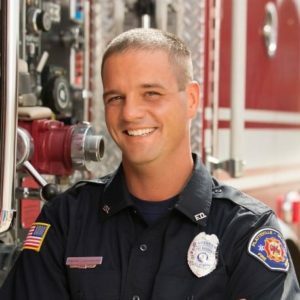 He is dedicated to participating in community events and continues to volunteer with Elk Creek Fire in Conifer, CO.
Daniel was Mr. September 2018 and is a new member of the Board of Directors. He is honored to continue working with CFC and working to support a great cause. 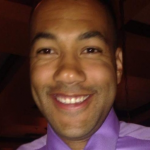 Daniel is a career member of his Fire District where he currently holds the rank of Lieutenant. He started his fire service career in 2010 as a volunteer and was hired full time the following year. After he was chosen to represent the Colorado Firefighter calendar, Daniel was able to visit the Children’s Hospital Burn unit where he had a life changing moment. Nearing the end of the visit, the center had a family come visit the calendar firefighters to visit explain what the funds the firefighters raised went towards. Just before they all met in a conference room a young boy about 5 or 6 years old came running up to Daniel with his arms extended to be picked up. Daniel lifted the boy into his arms and then realized that this young boy was a survivor of burn injuries. Daniel immediately knew that he was involved with the right charity and hasn’t looked back since! Mandy started in the fire service in 2002 and worked her way up from a volunteer firefighter/EMT to a paramedic. She left the fire service but remained a paramedic while raising her two daughters, eventually going on to fulfill her childhood dream of becoming a flight paramedic with Airlife Denver. In Mandy’s spare time she loves to teach, read, and try new things. She is a true Georgia girl who is a sucker for sweet tea and fried okra.